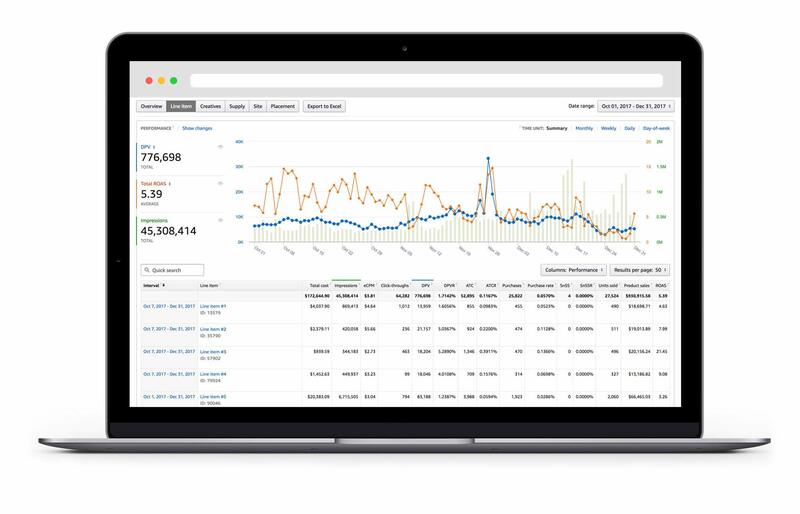 Our reporting and measurement solutions help advertisers accurately measure the impact of advertising and make it easy to plan, optimize, and measure marketing strategies. Our reporting includes detail page views, product sales, Subscribe & Save subscriptions, and other Amazon metrics. Monitor shopping activity around your products before, during, and after your campaign to see the correlation to advertising. Registered advertisers have access to our reporting and measurement solutions. Already have an advertising account?